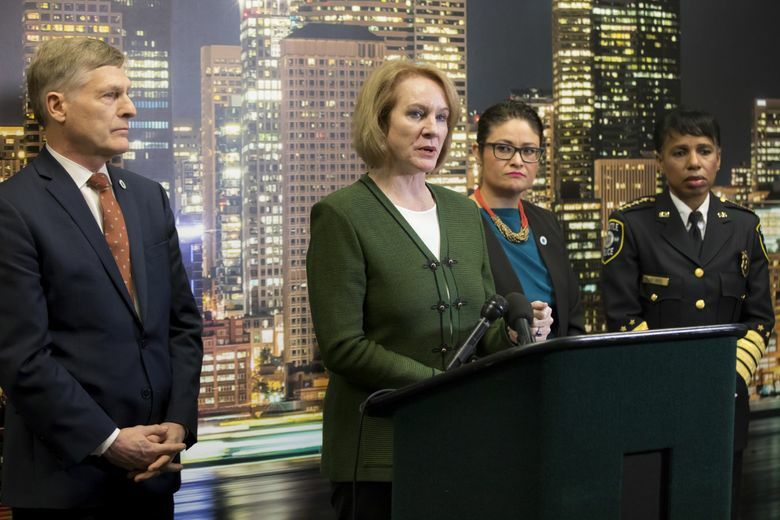 Mayor Jenny Durkan said the city expected U.S. District Judge James Robart to hold its feet to the fire and is confident it will be able to show that the proposed contract is consistent with court-ordered reforms. U.S. District Judge James Robart expressed deep concerns at a court hearing Monday about the city of Seattle’s tentative contract with its biggest police union, saying if the City Council approves the deal he will look closely at whether it follows the “spirit” and “purpose” of federally mandated reforms. Mayor Jenny Durkan, at a hastily called news conference following the hearing, said the city expected Robart to hold its feet to the fire and is confident it will be able to show that the deal is consistent with court-ordered reforms requiring the city to address excessive force and biased policing. “What I heard from the judge is he wants everyone to know … that he will decide,” Durkan said. 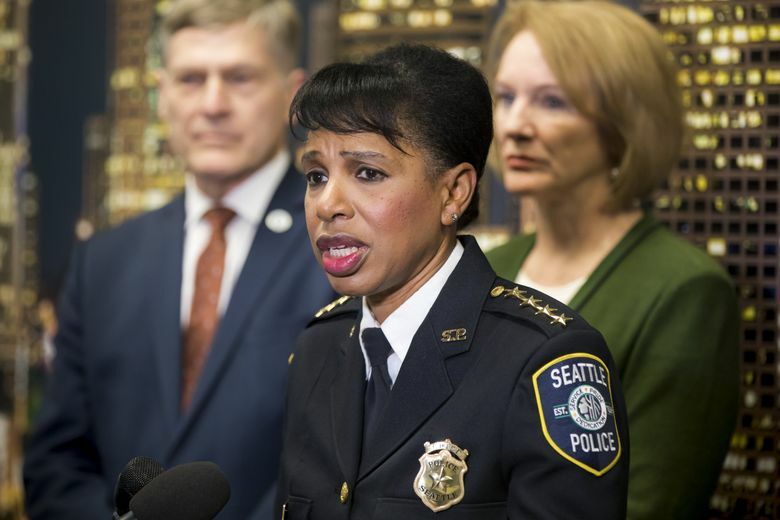 Without holding a full public hearing, the City Council will vote next Tuesday on the six-year deal with the Seattle Police Officers Guild (SPOG). It provides wage hikes for officers and sergeants retroactive to 2015 in exchange for reforms that will give the Police Department greater control over internal discipline and accountability. The tentative contract must be approved by seven of the council’s nine members, who cannot amend the terms. If approved, Robart, who is overseeing a 2012 consent decree imposed on the city by the Department of Justice, will decide if the contract is consistent with the decree and constitutional policing. The city’s Community Police Commission (CPC), a citizen advisory body, unanimously voted last month to urge the council to reject the agreement, asserting it rolls back hard-won police-accountability reforms contained in landmark legislation passed by the council last year. Robart asked if the city’s agreement to pay 2 percent premium pay to officers who wear body cameras was tantamount to offering a “2-percent bribe” for something he has already ordered. Officers are currently wearing body cameras under an executive order signed last year by former Mayor Ed Murray, which prompted SPOG to file an unfair-labor-practice complaint over the move. Robart recalled his previous statement that he wouldn’t allow the union to blackmail the city’s taxpayers in exchange for constitutional policing. The city maintains it is required by law to bargain changes in working conditions, and Durkan told the judge one of the benefits of the agreement is that SPOG will drop the labor complaint if the contract is ratified. Lisa Daugaard, a CPC member who spoke on behalf of the commission during the hearing, told Robart the CPC had various objections to the contract. But she acknowledged only one provision, which raises the burden of proof to uphold firings of officers in certain types of cases, appears to violate the consent decree. However, Daugaard said, the contract’s framework undermines the intentions of the consent decree and its overall goal of instilling public confidence. Daugaard said one solution was to allow deserved pay raises to go forward while reopening talks on some provisions involving reforms. 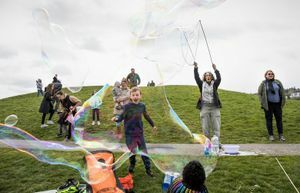 Durkan, asked by Robart why the city disagreed with the CPC after previously championing its role, responded that the commission was doing its job of questioning and pushing. But they weren’t at the bargaining table, she said. The mayor also noted that if issues arise in the future about the contract, there is a new mechanism for review by the Police Department’s civilian inspector general. At the close of the hearing, Robart questioned the city’s contention that the contract is consistent with the consent decree, saying at this point he doesn’t believe that to be “accurate.” He did not specify any particular provision. Robart praised the Police Department for its accomplishments, which in January led him to find the city in full compliance with the consent decree. The city remains under a two-year review period in which the city must show the reforms are locked in place. At the news conference, Councilmember M. Lorena González, chairwoman of the public-safety committee, said collective bargaining requires give and take, and that she hopes her colleagues will agree that the contract strikes a fair balance. She said the council will hold its usual public comment period before it votes Tuesday, but will not schedule a full public hearing before the meeting. González said community concerns have been addressed through the CPC, and that holding a full hearing would create the “false expectation” that the council can amend the agreement. “This is an up-or-down vote,” she said, adding that much of the public reaction the council has received has been in favor of the deal.